Almost 45 years ago a meeting place was built at West End that stood as a beacon for hospitality, family, celebration and conversation. 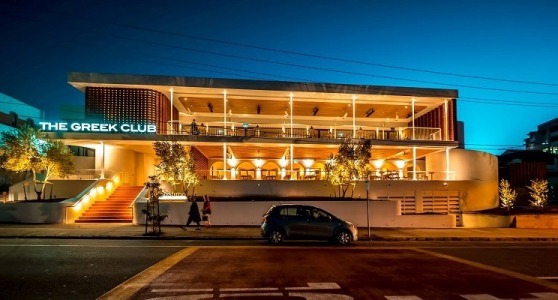 Today, after a $3 million full renovation, Brisbane’s iconic Greek Club is on the threshold of a new era, one where Hellenic Hospitality remains firmly as the mainstay. Sitting atop Musgrave Park and overlooking the Brisbane River to the city heart, The Greek Club has debuted 11 brand-new meeting and events spaces, heralding a new offering of modern amenities for the booming business events, meetings, incentives, conventions and exhibitions industry in Brisbane. At home in the heart of the original Brisbane Greek community on Edmondstone Street, The Greek Club remains the much-loved home of all things Hellenic – authentic food, dance, culture and the famous Greek warmth and hospitality. The refurbishment program has taken six months, with the modern Greek aesthetic inspired by traditional Cycladic architecture design. The Designer was Kon Panagopoulos from KP Architects and builder Rohrig. 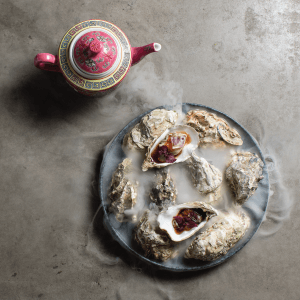 The meetings and events menu is curated by Head Chef Jean-Louis Beauilieu and is a modern morphing of Greek and Australian flavours, with dedicated menus available from both sides of the Atlantic, as well as options in between. All menus can be customised for specific events, meetings and conferences. 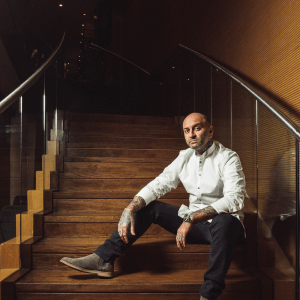 The Greek Club General Manager Andrew Tambakis said the refurbishment works represented a new era for the venue, and for Brisbane. 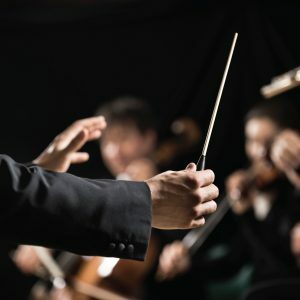 “It is estimated that over the past 43 years, some 40,000 events, meetings and conferences have been held at The Greek Club, with clients ranging from local businesses to international organisations. And of course, there’s the weddings – the Club has hosted almost 3000 weddings in its lifetime, with more than 45 already booked for 2018,” he said. The Greek will also welcome its new signature restaurant – Nostimo Restaurant Bar – a refined modern Greek restaurant headed by incoming Chef in Residence, David Tsirekas (Executive Chef of the famed 1821 in Sydney). An iconic cultural and event space renowned for its outstanding hospitality and impeccable service, The Greek Club is a highly awarded function venue which has been catering to a wide range of events for over 40 years. The Grand Balcony, specifically designed with corporate functions in mind, will provide a contemporary addition with spectacular city skyline views to their line-up of exquisite event space. A truly unique and beautiful 1,000sqm space featuring ceiling to floor glass doors and a dedicated dance floor, The Grand Ballroom features state of the art amenities including the very latest digital entertainment and audio-visual equipment with a high definition data projector with built in wide screens, HDMI connections, touch panel controls and blue tooth and Wi-Fi connectivity. The space can be adapted to host 1,400 cocktail style and 800 seated banquet style. A 115sqm outdoor balcony complete with coveted city skyline views, the Grand Balcony on level 1 provides all day/all year options, from breakfast through to evening events with a capacity for 250 cocktail style and 100 seated banquet style. Aegean: 560sqm space catering for 500 cocktail style and 260 seated banquet style. Corinthian: 80sqm space catering for 80 standing cocktail style and 40 seated banquet style. Ionian 1: 190sqm space catering for 180 standing cocktail style and 100 seated banquet style. Ionian 2: 160sqm space catering for 150 standing cocktail style and 80 seated banquet style. The Boardroom: 45sqm space that can be adapted to host banquets for up to 20, a cocktail soiree for up to 25, a theatre for an audience of 30 or a U shape configuration for up to 12. Acropolis: 88sqm space that caters for banquets up to 60 people, cocktail functions for up to 100, a theatre audience of 90 or a U shape meeting configuration for up to 30. Olympus: 115sqm space that can host a banquet for up to 70 people, a cocktail celebration for up to 130, a theatre audience of 130 or a U shape meeting configuration of up to 24. For events that require a dining experience unlike any other in Brisbane, the signature restaurant Nostimo Restaurant Bar at The Greek Club will deliver. 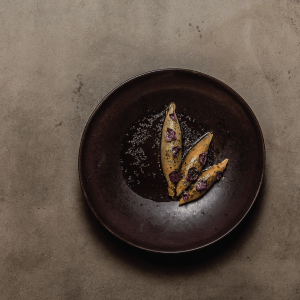 Led by Chef in Residence, David Tsirekas, acclaimed Executive Chef of 1821 in Sydney, Nostimo will feature refined modern Greek cuisine with dishes that are sophisticated and modern in execution. The 180-seat restaurant features white rendered walls, over 15,000 cascading worry beads, thatched ceilings and terrazzo finishes – the look and feel of the Greek Islands. The Greek Club’s famous terrace remains home to the best seats in the house, featuring a chic new cocktail bar and sweeping views of Musgrave Park and the Brisbane city skyline with a capacity for 260 cocktail style and 140 seated. Since 1975, The Greek Club has been an iconic cultural and event space renowned for its outstanding hospitality and impeccable service. The Greek Club is more than a venue offering formal conference and event spaces, a restaurant and café, it is a meeting place for friends and family and has been for over four decades. Located opposite Musgrave Park in South Brisbane, The Greek Club is walking distance to the Brisbane CBD and showcases sweeping parkland and city skyline views. On-site parking is also available.